Back in January, we hosted the very first Boss Babes summit in Palm Springs, Cali. First, let’s be real, if there was ever a time to go to California and soak up some sunshine, it would be in January. The only problem being that it rained most of the time we were there. Yep. A place that gets less than 10 inches of rain a year, and it decides to get it all in that week. I left the perpetual rain of East Texas for rain in Palm Springs, where they are not prepared for it, nor do their buildings accommodate it (i.e an open-air airport). Regardless. It was beautiful. And we were surrounded by a group of incredible, hardworking women. Our summit brought together some of the industry’s best creatives—with a special connection—we’re all women business owners who tackle the world of entrepreneurship along with homes, babies, husbands and sometimes other jobs. The summit gave us a chance to learn from one another, recharge our creative spirits, grow our network and celebrate all that we accomplish each day. To end cap this amazing experience, my über-talented nephew put together a sizzle reel of all our snaps, Instagram stories and boomerangs during our summit. 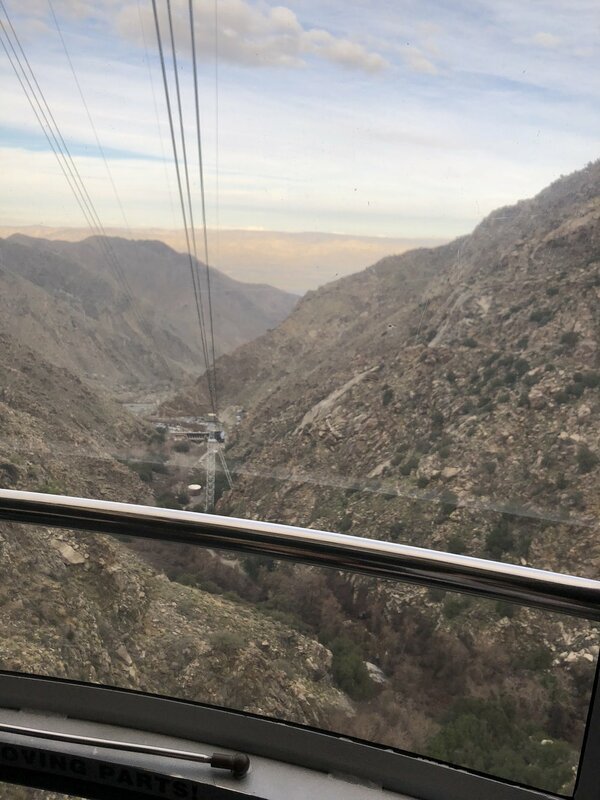 On the last evening, a few of us were brave enough to take the aerial tram up to 8,400+ feet in elevation. I’m sure the view is incredible, but that day we were literally above the clouds. We were terrified on the 10-minute ride up the mountain. But, after a couple bottles of wine, the ride back down the mountain was a little bit easier. I’m a firm believer that every girl needs a tribe. Life is tough out there, especially if you’re running your own business, chasing wild dreams or just born to not fall in line. These girls know the importance of having the very best on your team and just a phone call, or snap, away.